"Future Ready." The phrase has a nice ring to it, but what does it mean and what does it mean not only for educators but for the work place? In 2014, as part of the ConnectED launch, Future Ready became an initiative of the Office of Educational Technology. Superintendents who attended the launch event at the White House were the first to sign a pledge to support the transition to digital learning in their schools. Over the past few years, "future ready" has become a thing for K-12 educators as well as library media specialists/librarians. That makes sense to me because a school's library media specialist (LMS) should be well attuned to resources to assist in a digital transition. While there are plenty of schools that are working towards a digital transition, there are many that are not for lack of planning, funds, and/or inclination. But I suspect there are some that have failed to make headway for lack of knowledge, understanding, and/or expertise. It doesn't mean your school is 1:1 or has "gone Google." It does mean your district and your schools have put together a plan to figure out what makes the most sense for your student population to help ensure they can stay in school, graduate from high school, and apply successfully for college if that is their desire. It also means students and educators in your district have the wherewithal to make decisions about the skills and knowledge they will need to find suitable employment. It means that educators in your schools and districts, regardless of the student population, realize that just as the one-size-fits-all model does not fit for professional development, it does not fit for student learning. Differentiation, made popular by Carol Tomlinson in the 1990s, has staying power because of its relevance. Future ready means recognizing that education is not static just as learning is not static. Sure, technology will continue to change and change rapidly. That should be a strong indicator that teachers need to be willing and able to make adjustments. They and parents need support in providing the kind of support and opportunities students need to learn and prepare for their futures and a world we cannot begin to imagine. 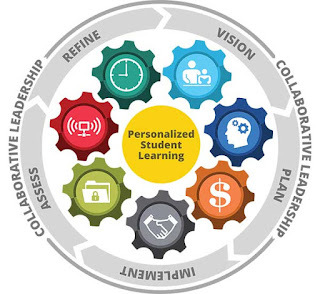 Note what is central: personalized student learning. The phrase that excites and encourages many educators and terrorizes others who believe they cannot support personalized student learning for many reasons or who believe their students are not capable of personalized student learning. Let me say this to that: balderdash. Most of the framework categories are not new but some of the elements of these categories are different. Wifi bandwidth is part of the infrastructure. Managing the school day and allowing teachers to have freedom in determining how their classrooms are furnished and organized is part of the use of space and time as is allowing teachers to have some freedom in determining how best to use the time they have with students. I worked with a teacher who had a wonderful idea about how to organize her day into large blocks of learning time but a district administrator was not happy that each day didn't have a specific amount of time allotted at a specific time of day for each of the content areas. The teacher was frustrated because that structure of 30 minutes for ELA, 30 minutes of science, etc. simply reinforced that learning is compartmentalized. But when her students were doing project-based learning in larger blocks--still with reading, writing, math, and science--they were learning in a more transdisciplinary capacity which makes so much more sense for a future ready student. Just as teachers worry about letting go because of technology, administrators must worry about letting go because they have to learn to allow their teachers to have more autonomy in their classrooms and with their students. It's not that simple, I know. However, I believe that if teachers have more autonomy and are trusted to do the best thing for their students AND administrators provide the kind of personalized professional learning and instructional coaching teachers need and want, then teachers will be more likely to ask for help and specific help when they need it. Teachers want to do well. They want their students to be successful. The best teachers with whom I've been privileged to work are already good teachers but have no qualms about asking for help because they know that's how they will continue to stretch and grow and learn their craft. They don't always realize that when they ask for help and coaching, they model something very special to their students. As with the seven categories of the Future Ready Framework, the centerpiece of the Future Ready Librarian is personalized student learning. 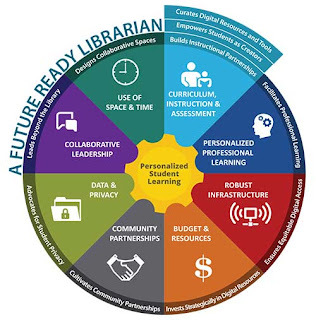 The focus of the Future Ready Librarian is curriculum, instruction, and assessment, though I think I could argue that the librarian is not limited to this single area. I know far too many librarians who are outstanding resources and learning partners in most of the other categories, too. These elements of curriculum, instruction, and assessment are strengths of the Future Ready Librarian for students and their teachers, and not just at the local school. Most librarians are part of district, state, and national organizations so can help build different partnerships to meet different needs and interests. It depends where you are in the process. Do you have a plan? If not, you might start with the framework dashboard tool that helps you assess your district and being to plan (https://dashboard.futurereadyschools.org). You'll need to create a free account. If you don't want to go that route, form your own team at your school or district level. Make sure your team includes a technology coordinator or coach, at least one librarian, and representative teachers. I'd include one tech-savvy teacher who is already doing some project-based learning and/or elements of personalized learning as well as at least one of the teachers who is reluctant to try to incorporate technology. Keep in mind that to be future ready you do not have to be 1:1. You do have to have a plan for integrating technology and you do have to have a plan for supporting your teachers, parents, and students in the use of technology. And you need to have a plan for encouraging digital citizenship--for parents and students. As part of your work, think about the way your school and/or your district goes about education. I'm serious even though this seems self-evident. What are your practices and policies around testing? What are practices and policies around learning? To what extent do administrators have autonomy to make decisions about what happens in their buildings for their students? To what extent do teachers have autonomy to make decisions about what happens in their classrooms? When was the last time you did a technology audit? Do you know what technology resources your teachers are using? Not just tablets or laptops, but what digital resources are they using--apps or web-based? What is the process for teachers getting access to grade-level and/or learner-appropriate resources? How complex/frustrating is that process? What are the safeguards to make sure students don't download or access their own random stuff but also don't limit teachers from getting to things they have reviewed or that have been recommended by trusted professionals? 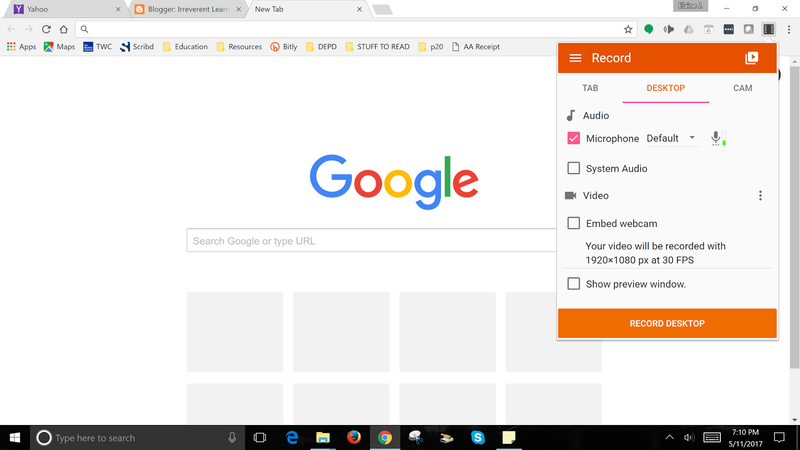 To what technology resources do your students have access? How many students have access to technology at home? If not, is it because they don't have access to a computer of some sort or because they don't have access to the internet or both? When was the last time you did a curriculum and resource audit? In other words, what resources are teachers being asked or required to use? Are they timely? relevant? Are they learner-appropriate? Do they provide opportunity for students to learn at their levels? When was the last time you did an initiative audit? This is one of the reasons some teachers don't do or use some resources or programs. Districts too often toss something over the fence without rationale or training or access to support/help. Some of the initiatives are contradictory. Some of the initiatives are not useful. And sometimes there are just too many and teachers have no time or support to figure out how to use what and when, so they do what they know and what has been successful in the past. It is imperative you figure out where you are as a district or a school and be very, very clear about where you want to go and why. It's probably a good time to mention Knoster's Change Model. Without each of these components, including a plan, productive change will be nigh on impossible. 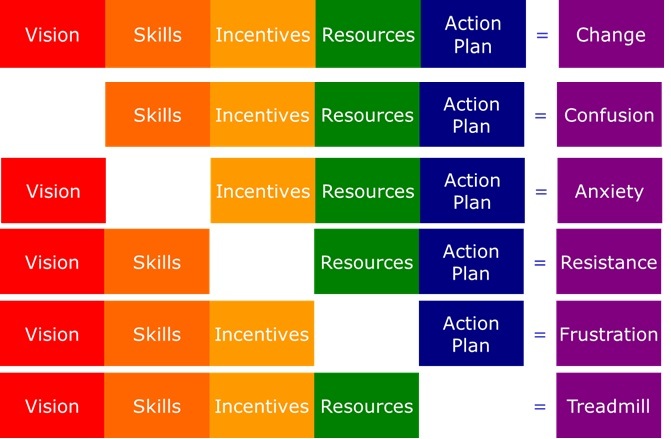 It will be hard to build a plan that will lead to productive change without having a vision, without considering the skills and resources your team has and needs, and without considering the kinds of incentives--intrinsic and extrinsic--that will enable your team to move forward in ways that make sense to them because they have participated in developing the vision that they now support. Just as any strategic plan has a shelf life, so does the action plan for being and becoming future ready. Don't plan for five years. You have no idea what's going to change and to what extent in the coming year never mind five years from now. Plan for this year and outline what you hope will be able to happen in the next two or three years. Make sure someone on your team can help you track the trends, not only in K-12 education, but in higher education and in the work place. There is a distinctive trickle-down effect from the work place, but think about the work places most likely to impact your students. You don't want to limit their opportunities and options, but you need to be realistic about what you can manage. However, and this is the beauty of technology and digital learning, just as you need to be realistic about what you can do in your school and your district, you don't have to settle. There are educators and professionals out in the big wide cyber world ready and very willing to support your teachers and your students in ways--trust me on this--you cannot now image. Not just Skype in the Classroom, though that is one resource. Discovery Education, like many others, offers a wealth of digital resources (Disclosure: I am an independent consultant doing work with Discovery Education. Because my colleagues and I are digital geeks, we bring a lot of digital know-how and passion to our work!). So as you look ahead beyond 2017-2018, think about competency-based education and what it means to make learning appropriately personal for students who are ready and interested. 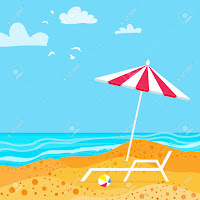 Follow people like Vicki Davis, Eric Sheninger, Matt Miller, George Couros, Shannon McClintock Miller, and Angela Maiers. Learn more about Mark Moran and SweetSearch. And sure, follow me on Twitter (@elainej) or LinkedIn or check out my web site. Take some time to figure out what makes the most sense for where you and your team are right now. Think about how far you and they can take each other this next school year. Plan realistically and provide for incredible possibilities because once you get started, well, as Dr. Seuss taught us, "Oh! The Places You'll Go!". 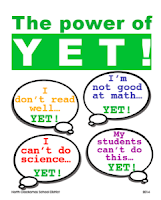 Carol Dweck, the Stanford psychology professor catapulted to fame with the emergent popularity of her theory of growth mindset, gave a TED Talk in 2014 that linked the power of yet with growth mindset. Growth mindset became the newest trend in the K-12 classroom with teachers filling their walls with posters encouraging students to persevere, to evidence their grit. We have Angela Duckworth to "thank" for the imposed connection between growth mindset and perseverance. There are some who seem to think that if students simply tried a little harder and believed in themselves and their abilities, like modern day little engines that can, those students could be "successful." In 2015, Dweck revisited growth mindset in an attempt to remind teachers that, among other things, it isn't just about trying harder. When I think of all the children who experience stressors outside of the classroom about which we are ignorant or that we simply cannot imagine, growth mindset is the least of my concerns. Yet I am still perplexed when a student refuses to exert even a nanosecond of effort before whining "it's too hard" or "I can't do this." I try to imagine what has happened in a child's life that even in second grade there is a lack of willingness to try. Or is it a lack of willingness to fail? I don't know, though I do know that a child questioned about why they think it is too hard will often just put his or her head down and shrug. Recently I was talking with a teacher about the power of yet, which motivated me to find the Dweck TED Talk and to do a bit more research. That's when I found this article making another connection between the power of yet and growth mindset. In "The Power of Yet: Do You Believe You Can Improve? ", Sam Thomas Davies revisits that unorthodox grade of "not yet." Rather than give a student a failing grade, students at a particular school in Chicago are given the grade of "not yet." Let's not quibble about the details of how that actually works and focus instead on what it means to a student to get a grade of "not yet." As I was thinking about how a student might respond to that idea of "yet," I started thinking about the challenges some of our schools have with students being respectful of themselves, their classmates, their teachers, and their school. Check out Step 2 in Davies' article which focuses on the belief of change. You'll see this statement in Step 2: "You have a choice." All day long teachers talk to kids about making good choices. So very easy to say but my contemplation led to an epiphany: what is a student's frame of reference for what we call a "good" choice? Is a good choice one that keeps them out of trouble? away from a buddy room? Is a good choice one that keeps the teacher's focus on some other kid with behavior that doesn't necessarily lead to learning but also doesn't lead to being in trouble? This idea of choice is connected to a belief in the possibility of change. I'd want to help students understand that some changes are incremental. That some changes are harder than others and are often marked as much by figurative (maybe literal) scrapped knees and elbows which means we have to be that much more determined to work towards change because it is work. By the same token, we have to be realistic about the reach of those changes and the possibility that some changes won't survive the boundaries of the school. And that observation because of another epiphany or a slow realization: we really, really need to find ways to engage parents in making good choices, in understanding the power of yet, in understanding that change takes time and hard work. I fear their expectations of what can, should, and does happen in a classroom and in a school may be inaccurate and/or misguided. On the other hand, I plead complete ignorance about what is really going on in our kids' homes. No matter where our kids go to school and live, I have bouts of concern that we make too many assumptions about the conditions of their home lives. I grew up in a nice middle class neighborhood and no one knew that my father was an alcoholic and my mother often took out her rage on me. Maybe we were better at pretend and false faces in those days. Maybe some of today's kids can manage the false front as I did, but I'd wager many others simply haven't the energy or ability and that's why we see what we see in the classroom. I know how hard it is to get parents to be an active part of a school community. I know how difficult it can be for parents to find the time and exert the energy to learn more about their student's school and teachers. Parents, teachers, and kids need to be clear that learning is more than having green or purple at the end of the day. Sometimes a yellow day might still be a day of learning even if the behavior was a little rocky along the way. In far too many of our classrooms, managing behavior has become the necessity making managing learning that much harder. Even so, my heart tells me that finding ways to help students understand how learning matters, that it really is worth the effort even when it seems hard, that not knowing or not being able to do yet is really the way of learning, then maybe, just maybe, we can begin to make more progress with our kids, and their parents. But first we have to spend a little time with ourselves and make our own good choices about not losing heart, about not giving up--on them or ourselves.